Happy Birthday to Our Timmy! 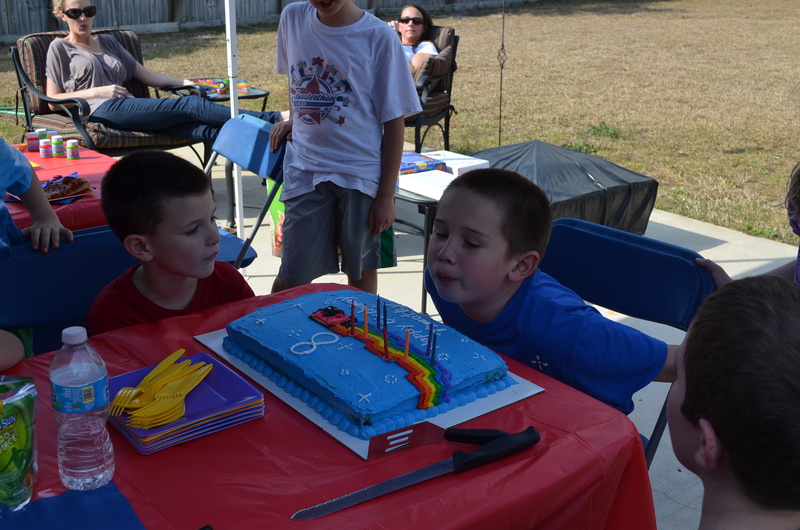 It was so windy outside, we had to fake the blowing out of the candles. 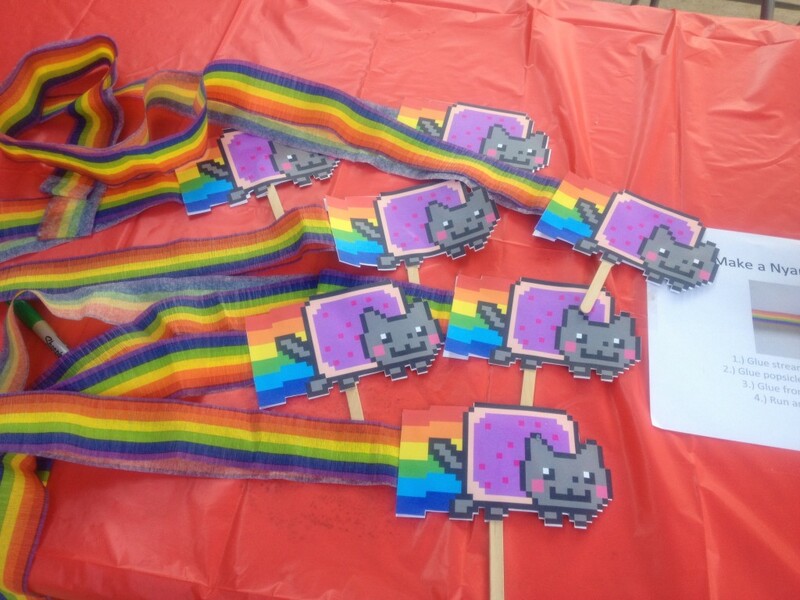 This year Timmy asked for a Nyan Cat birthday party. So he got one. He didn’t have a party last year, since we took a cruise that particular week a year ago. I don’t know where he thinks of this stuff. 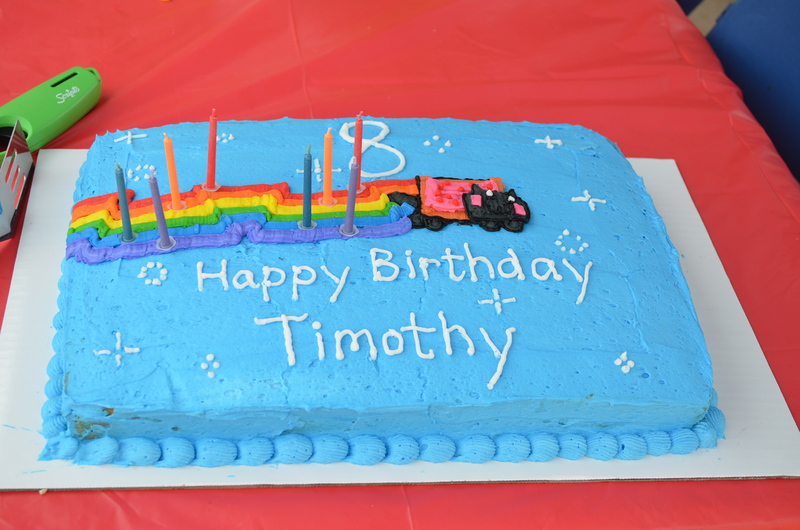 It took a little bit of creativity, but the kids got a kick out of the party and Timmy was very happy. I’ll just send you here to learn more about Nyan Cat. And here’s the video, of course. Since no one seemed to have done this before, I basically wagged everything. I set up a Pinterest board to collect the ideas I found online. We rented a bouncy house. 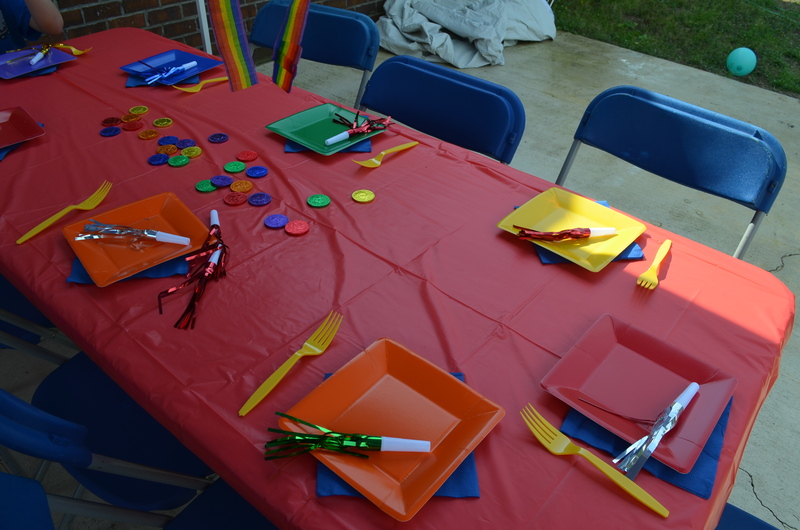 I found lots of rainbow-colored party items at our local Party City, and a friend from GeekMom recommended a craft activity. With popsicle sticks, rainbow streamers, cardstock with Nyan Cat printouts, and a lot of glue, you too can make these cute puppets. The cake was fun to make. I happened to have all the food color gels for the rainbow. 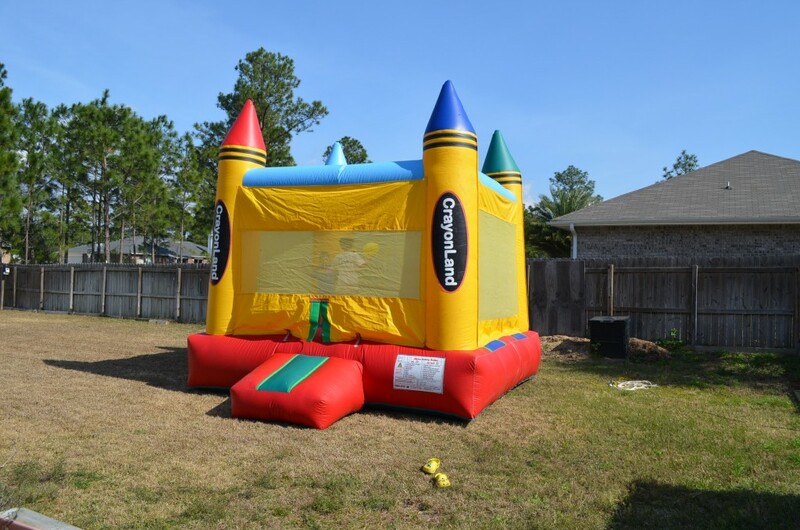 The bouncy house, rented from Hurlburt Field Outdoor Recreation.